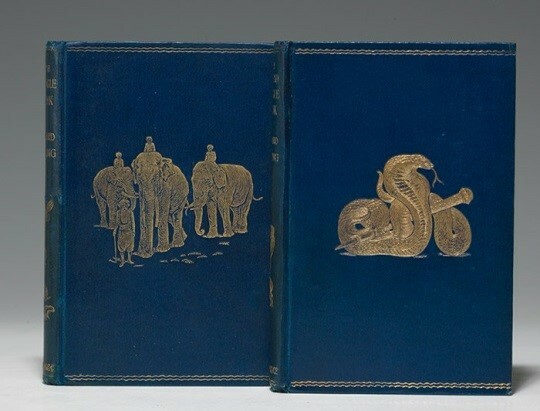 Children’s books are one of the most popular subjects for giving and collecting rare books. Who can resist the charms of the memorable stories and characters from the classic works you read as a child, and in turn shared with your own children or grandchildren? Our two posts will highlight a selection of children’s books from the 19th and 20th centuries whose appeal will endure for generations to come. 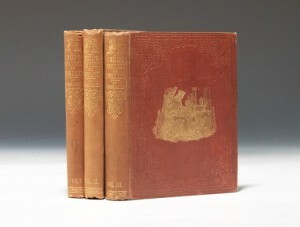 First editions of the great classics of children’s literature are rare and difficult to find in nice condition. 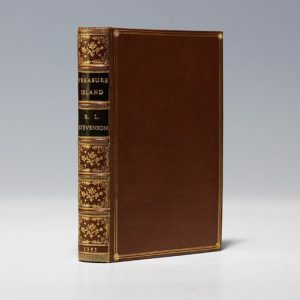 Most were originally issued in publisher’s cloth bindings, and later in the 20th-century, with dust jackets. 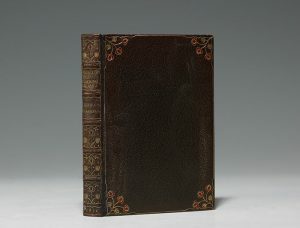 Though books in the original bindings are preferred by collectors, those in handsome leather bindings are also desirable. 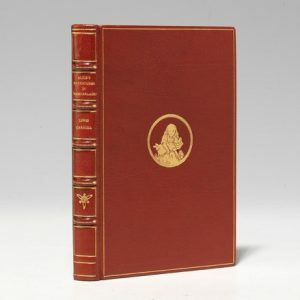 We’ll start with the book that began the Golden Age of children’s literature— the whimsical, fantastical, and delightfully nonsensical Alice’s Adventures in Wonderland, written by Charles Lutwidge Dodgson under the pseudonym Lewis Carroll. 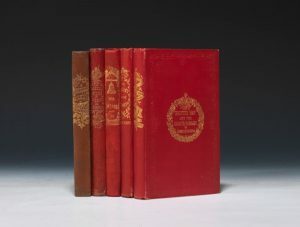 The first edition of 2000 copies was printed in London in 1865, but illustrator John Tenniel was so “dissatisfied with the printing of the pictures” that Carroll cancelled it and ordered the book reprinted. 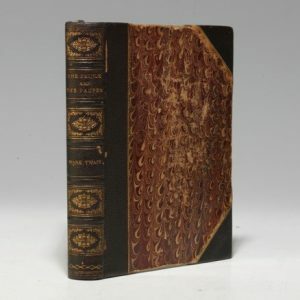 He sold a portion of the unbound sheets to New York publisher Appleton, who added a new title page and issued it as the 1866 first American edition, the earliest obtainable edition. This was followed a short time later by the newly reprinted authorized 1866 English edition. In 1872 Carroll published the remarkably popular and equally amusing sequel, Through the Looking-Glass, and What Alice Found There. A notable 20th-century edition of the two works was published by the Limited Editions Club in 1932 and 1935. 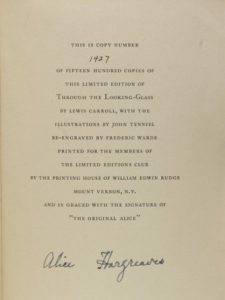 Each copy was signed by “the original Alice”—Alice Hargreaves (née Liddell), for whom Carroll wrote the books. The works of Charles Dickens have long been cherished by young and old alike, but some of his titles have particular appeal for younger people. 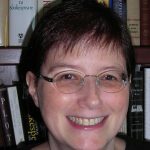 Foremost among these is his 1843 A Christmas Carol, the “Bible of Christmas.” Rebecca told the story behind the writing and publication of the book and how it changed Christmas forever in her 2013 blog post. 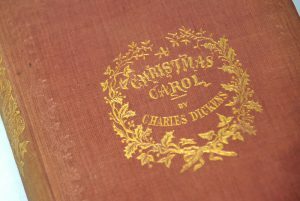 A Christmas Carol was the first of Dickens’ five illustrated Christmas Books, published between 1843 and 1848. The others were The Chimes, The Cricket on the Hearth, The Battle of Life, and The Haunted Man and the Ghost’s Bargain. 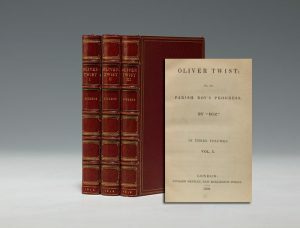 Oliver Twist, Dickens’ 1838 second novel, features two memorable children, the orphan Oliver Twist and the pickpocket Artful Dodger. Queen Elizabeth… was not the beautiful creature her courtiers made out; but she was well enough, and no doubt looked all the better for coming after the dark and gloomy Mary. She was well educated, but a roundabout writer, and rather a hard swearer and coarse talker. Mark Twain wrote many works that may be as popular today as when they were first published. 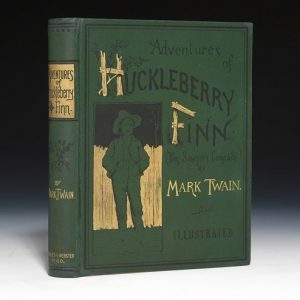 The most famous is his 1885 The Adventures of Huckleberry Finn, a book that’s been attacked by critics—past and present—for profanity, coarseness, and immorality. When I am king, they shall not have bread and shelter only, but also teachings out of books; for a full belly is little worth where the mind is starved, and the heart. The satirical A Connecticut Yankee in King Arthur’s Court is one of the first time-travel stories, in which a man is transported back in time to Camelot and convinces everyone that he’s a magician. Robert Louis Stevenson’s most popular novel for children was his 1883 swashbuckling pirate adventure, Treasure Island. 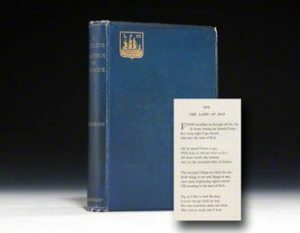 In 1885 Stevenson published an influential book of verse for children, A Child’s Garden of Verses. Rudyard Kipling’s most popular children’s books are his 1894 The Jungle Book and 1895 The Second Jungle Book. Set in the jungles of India, the stories contain many unforgettable animal characters and follow the adventures of Mowgli, the abandoned “man cub” raised by wolves. Though most children know Pinocchio through the Disney animated film, this timeless story of a marionette who comes to life was written by Italian author Carlo Collodi and published in 1883. It was first translated into English by Mary Alice Murray and published in 1892 as The Story of a Puppet or The Adventures of Pinocchio. We’ll end with Frances Hodgson Burnett, one of the most admired children’s book authors of the late 19th and early 20th centuries. 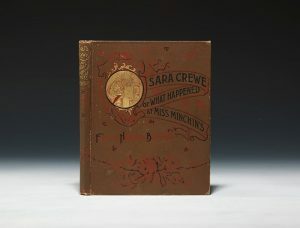 Her first book was the 1886 Little Lord Fauntleroy, but her 1888 Sara Crewe became a beloved classic. You may know the book under its later title, A Little Princess. 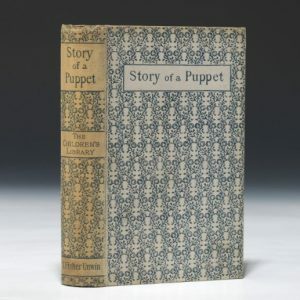 Burnett changed the title when she adapted the story for the stage in 1902 and published an expanded version of the novel in 1905. 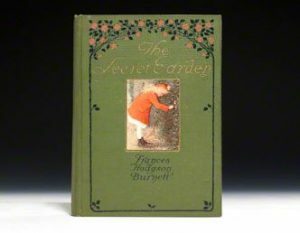 Burnett’s most famous children’s book was The Secret Garden, her popular story about the redemptive power of nature and friendship. 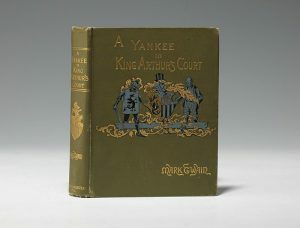 It was published in 1911 in a first edition and a deluxe illustrated “gift issue”. In Part 2, we’ll highlight 20th-century children’s books by Dr. Seuss, A.A. Milne, Beatrix Potter, E.B. White, Roald Dahl, and others. If you’d like assistance or personalized recommendations, or to inquire about a book that’s on reserve or no longer available, call us: 212-751-0011 (East Coast) or 702-948-1617 (West Coast).